Hey everyone! Hope you had a great weekend and are having a happy Monday so far! Amanda, along with her husband, our dad, and some family and friends, are hiking Macchu Picchu in Peru. Amanda will be sure to share the trip with you when she returns, but for now you’re stuck with me! 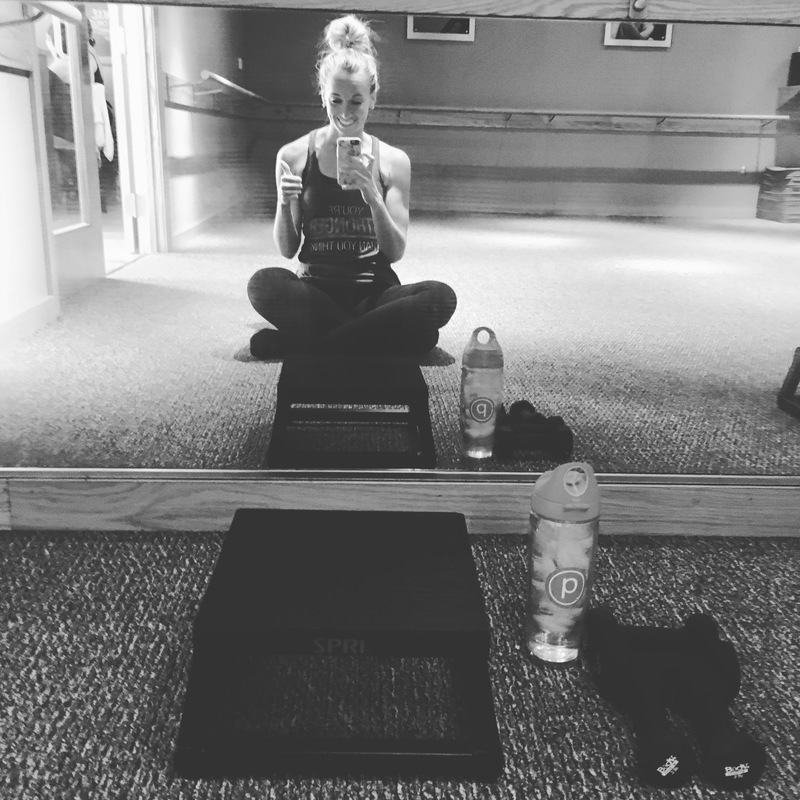 This week I wanted to share my experience with a new form of Pure Barre…Platform! The class started at my studio a few months back and I finally was able to fit it into my schedule. I was a little nervous because I am so used to the original Pure Barre class. However, I really enjoyed the workout and was able to catch on to the format throughout the duration of the class. The class differs from the original Pure Barre class by utilizing the platform while still toning your abs, arms, and legs. There were also incorporated cardio bursts throughout the class to increase your heart rate. We were able to jump off the platform with one leg extended in the air for some of the cardio intervals which was fun and worked up a sweat! The class was very fast-paced and overall I liked the cardio aspect of it without losing the lift, tone, burn (LTB) that Pure Barre is known for. I left the studio drenched in sweat and will definitely be returning for more! What is your favorite workout class? I would love to hear from you!